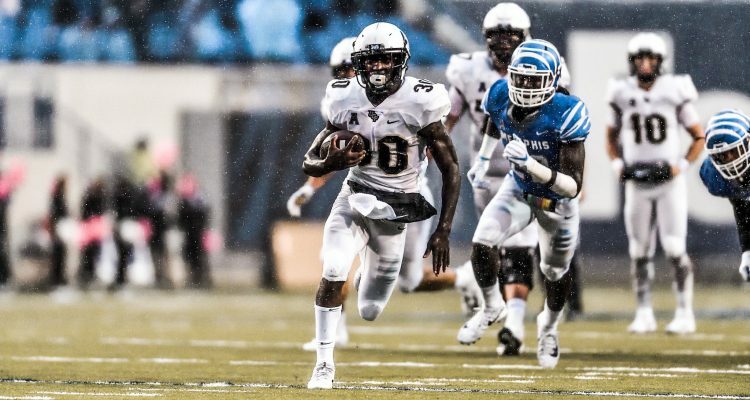 A chance at 20 straight victories, longest such streak in college football right now, is on the line tonight when the University of Central Florida travels north to take on East Carolina. The Knights have been the state of Florida’s most successful college football team of the last year and a half and the win streak is just one of many reasons why No. 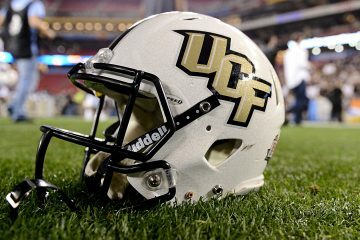 10 UCF should be getting more respect in the weekly Associated Press Top 25 Poll and Coaches Poll. Where colleges like Florida State, Florida and Miami have all fallen short of, UCF hasn’t. The Knights capped an undefeated season in 2017 with an incredible 34-27 victory over Southeastern Conference powerhouse Auburn, a game not many gave the Knights a chance to win. 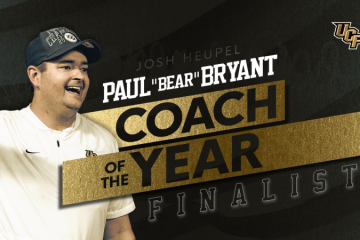 Even with the higher expectations, Scott Frost bolting for Nebraska and transitioning to a new head coach in Josh Heupel, the Knights have persevered through it all. 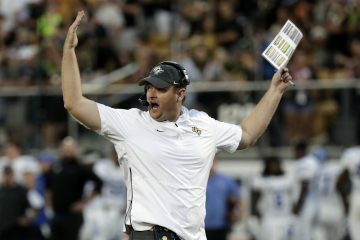 Several top 10 teams in college football ended up losing last weekend, which brought about hope that the Knights might be able to leapfrog into elite status because of being undefeated and riding a 19-game win streak. Instead they remained at No. 10 and watched the likes of Texas and other climbed into the standings. Is it because the Knights don’t have a big name in the running for the Heisman Trophy? McKenzie Milton has been everything and the team has needed him to be the last couple of seasons and should be a visitor in New York City come later this year. But it can’t be a lack of a superstar-type player, because Milton absolutely fits the production compared to that of others in the running. The strength of schedule may be the main culprit. Take East Carolina tonight, as the Pirates are 2-4 on the season have embarrassing losses to Temple and Houston the last couple of weeks. All UCF can do is control it’s own ride into potentially a bid to the College Football Playoff. A chance at 20 in a row. A chance for 7-0 this season. Another chance at earning respect. That’s all UCF can play for at this point until given respect otherwise.